The graduation ceremony of Le Cordon Bleu Paris Culinary Arts students took place on March 18, 2016. The ceremony was held at the ‘Cercle de l’Union Interalliée’ with graduates' family members and friends. On this special day, Le Cordon Bleu was honored to welcome Chef Alain Pégouret, Chef of the restaurant Le Laurent, as class patron. 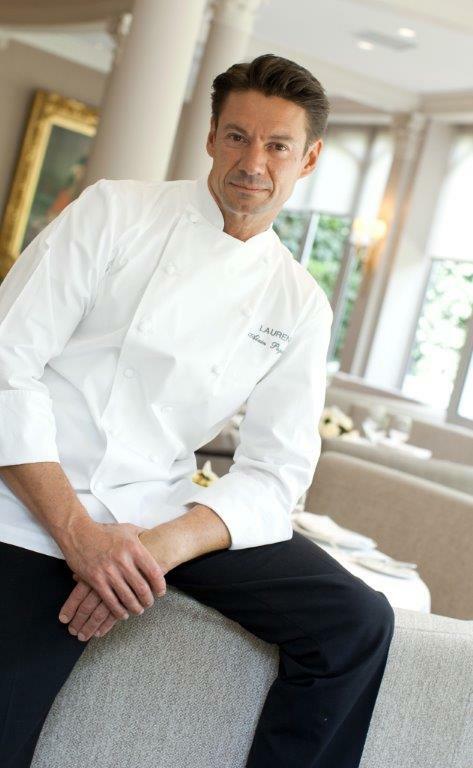 Born in Cannes, in 1966, Alain Pégouret has been immersed in the cuisine world since adolescence. At the age of 21, having been awarded a “BEP” and a “CAP” in cuisine, he became “commis” at the 3 Michelin-starred restaurant Le Moulin de Mougins. In 1990, he started working at the 3 Michelin-starred Jamin restaurant as “chef de partie” under Joël Robuchon. He worked there for two years before joining Christian Constant’s team, initially as “chef de partie” then “sous-chef”, at the Crillon’s 2 Michelin-starred restaurant Les Ambassadeurs, where he remained until 1997. He was then involved in opening Le Violon d’Ingres restaurant, where he was cuisine Chef for 4 years and was awarded two Michelin stars. He has been cuisine Chef of the Michelin-starred Laurent restaurant, a renowned establishment on the Parisian gastronomic scene, since 2001. Alain Pégouret describes his cuisine as “elegant, with subtle flavours, using top quality products.” His mentors, Chef Joël Robuchon and Chef Christian Constant, instilled in him “the desire to work hard, to take pride in a job well done, and modesty, which goes hand in hand with great talent.” Amongst his signature dishes are jellied spider crab in its juices and crisp langoustines with basil. Alain Pégouret is the author of a number of works including La Cuisine de Christian Constant à l’Hôtel de Crillon (Michel Laffont/Ramsay) in 1995 and Laurent Paris (Glénat) in 2010 and also writes numerous articles for professional publications. A very active member of the industry, he takes parts in various culinary events and is a jury member for many Parisian competitions. He also trains and guides other Chefs who are preparing to take part in competitions. It’s through you that Gastronomy can be perpetuated and continue to grow and evolve with your sensitivity to new tastes, products and techniques that Le Cordon Bleu Institute teaches so well. This March 2016 class was composed of 75 students, which reprensents 26 nationalities. The last promotion in Culinary Arts (Grand Diplôme - Cuisine Diploma - Pastry Diploma) to be graduated in the old school of Le Cordon Bleu Paris located 8 rue Léon Delhomme in Paris. 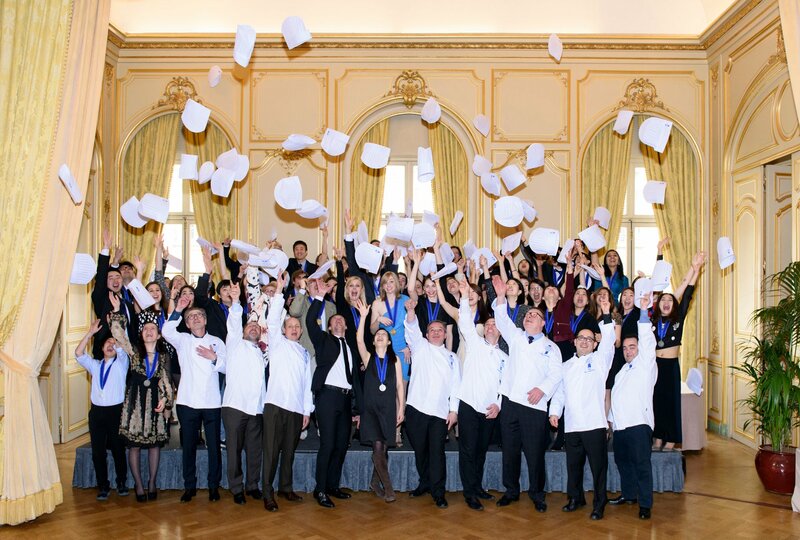 Le Cordon Bleu Paris congratulates all the students! Our best wishes to the graduates.